Hot, hotter and hottest!. As the days get warmer, it is time to chill out at your dermatologist. 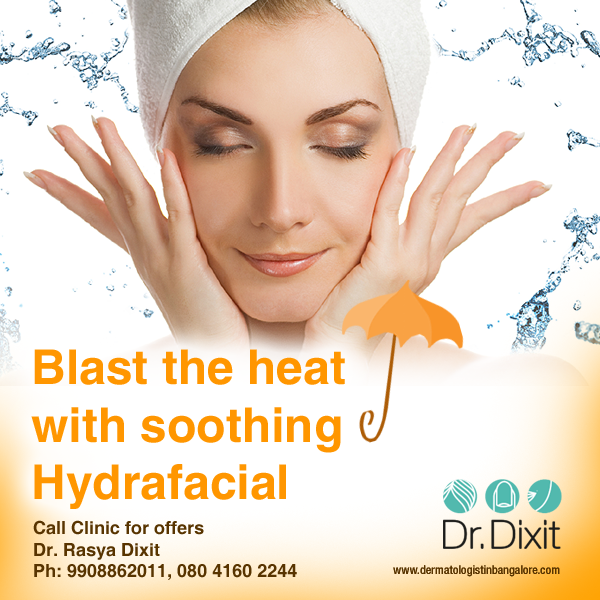 Introducing the new range of Hydrafacials at Dr Dixit Cosmetic Dermatology. These treatments which use water and vitamin serums to hydrate and replenish the skin this season. Hydrafacials also rejuvenate the skin by massaging the dermis and increasing the bloodflow, your skin feels rejuvenated and refreshed. Various combination of Vitamins such as Vit C, hyaluronic acids can be added to the hydra mixture giving great improvement in acne, pigmentation and texture of skin.